Ämne: Plasmabeläggning och ytmodifiering i textila tillverkningsprocesser. Förbättrad vätbarhet, funktionsbeläggning och funktionsbehandling av tyger, fibrer och garn. Openair® Plasma pretreatment significantly improves the wettability of fibres and yarns, allowing even solvent-free dyes to bond well and durably. Surfaces can be provided with hydrophobic and dirt-repellent finishes. Openair® Plasma jets can keep pace with the tough demands of new high-performance spinning equipment. Plasma treatment of textiles. Hydrophilic and hydrophobic textile coating. 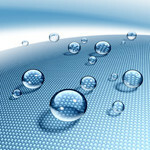 Physical surface modification.Waterproofing, impregnating textiles and fabrics. GlowPlasma. Plasma treatment for wide fabric. Plasma modification of wide textile webs. Hydrophilization of textiles. Plasma suface modification and plasma coating of textiles. Functionalization of fabric. Plasma functional coating. 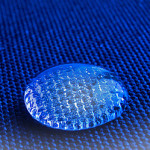 Hydrophobic and hydrophilic textile coating.